A NEW series of one-day and weekend workshops in painting, along with a new spring term of weekly art classes, will be held in Galway and Mayo by the award-winning artist Denise Hogan. The new classes starts this Saturday with a one-day workshop in watercolours, followed by a one-day workshop in oil painting on Saturday February 11, with an extra date on Sunday 12; along with a one-day workshop in glasspainting on March 4. April 1 and 2 weekend workshops, Works on Paper, is for experienced students only and will focus on exploring elements of storytelling through visual art. Meanwhile the next 10 week term begins at the end of February/beginning of March. 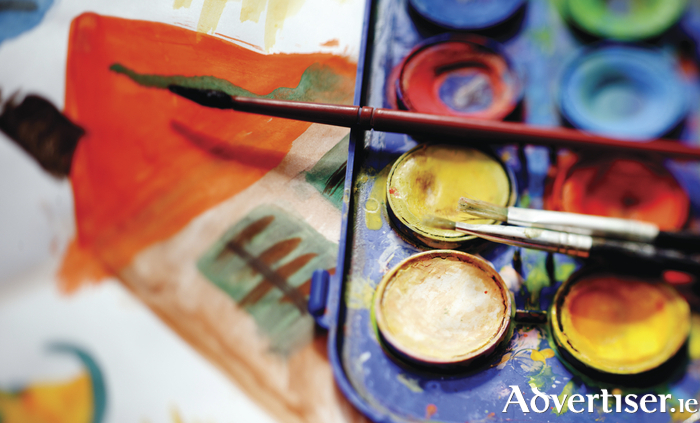 Classes cater for every level and focus mainly on oils, watercolours, and acrylics. Early booking is advised, and work can be shown at the annual student exhibition in July and August at the Renzo Café Gallery, Eyre Street. "You don’t wake up one morning knowing how to paint,’ says Denise. "It’s a journey of fun and discovery. Just give it a go and have fun with your journey of learning." The one-day and weekend workshops will be held in Headford, County Galway, and Cross, Mayo. For more information see www.denisehogan.ie or call087 - 6731199.